Audience Systems are delighted to announce that we’ll be providing the seating for the new Hull Venue. Built during Hull’s year as City of Culture, the eye-catching Venue will be a state-of-the-art music and events complex, suitable for conferences, exhibitions, concerts, shows, sporting events and trade shows. The venue will boast a mixture of fixed and retractable seating and swivelling seats on the balcony. Combined with a movable acoustic wall, this seating configuration will create an adaptable, future-proof auditorium. 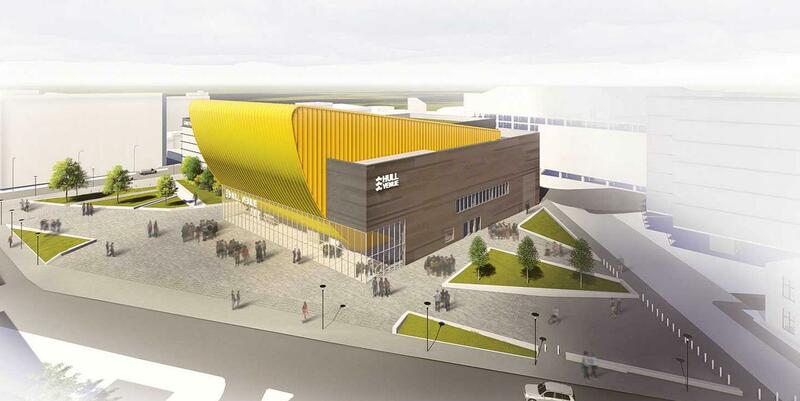 Backed by a £36m investment from Hull City Council, the Venue has been designed by AFL Architects. It is being built by BAM Construction North East, who Audience Systems have previously worked with on projects such as Leeds Arena and Huddersfield Leisure Centre. Operators will be SMG Europe. Work on the project is already underway at Audience Systems, and the seating will be installed during spring 2018.